Home > News > The EU Commission launches 23 new European Strategic Cluster Partnerships to Go International for the period 2018-2019! The 'Clusters Go International' action of the COSME Framework Programme of the European Commission contributed to establish European Strategic Cluster Partnerships for Going International (ESCP-4i) to reinforce cross-border collaboration between European clusters with the ultimate goal of going international jointly and better helping SMEs' access to third markets. After the successful activity of a first generation of European Strategic Cluster Partnerships for Going International (ESCP-4i), the European Commission launched on 21 February 2018 in the context of the EU Industry Day a second generation of 23 co-funded EU Cluster Partnerships (ESCP-4i) including 2 partnerships on Earth observation applications for the period 2018-2019. 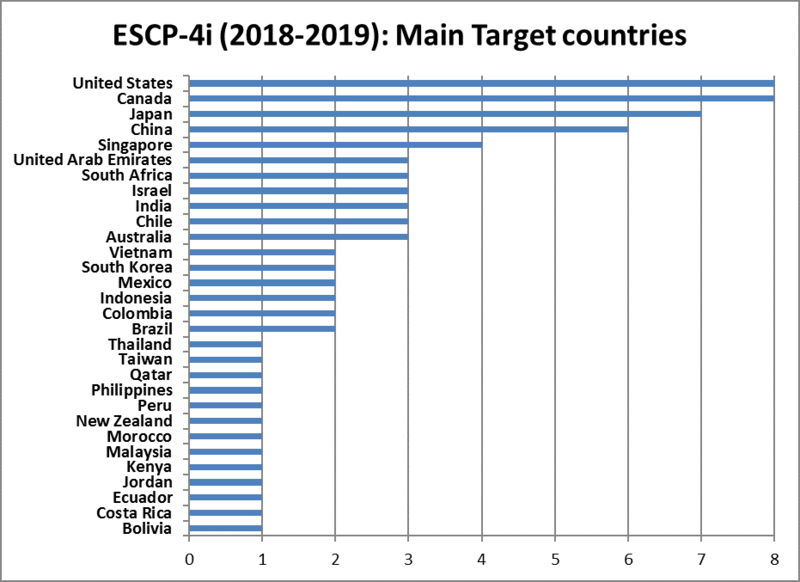 These EU Cluster Partnerships (ESCP-4i), active since the beginning of 2018, involve 123 cluster organisations across 25 European countries active in various industrial sectors. The primary target markets of these partnerships include the USA, Canada, Japan, China and Singapore. Together, they represent a potential to support more than 17,000 European SMEs in accessing global value chains and taking a leading position globally. At the launch event, all these partnerships have been awarded the label of "European Strategic Cluster Partnership for Going International" by the DG GROWTH Deputy Director-General Antti Peltomäki of the European Commission which commits the partners of each EU Cluster partnership to work on a joint cooperation agenda with the aim to support the internationalisation of their SME members towards third countries beyond Europe and thereby, to contribute to the European Commission's objectives to boost growth, jobs and investment in Europe. The full list of these 23 new EU Cluster Partnerships, including the cluster organisation members, number of SMEs involved and target countries can be found on the ECCP here. The European Cluster Collaboration Platform supports the strategic cluster partnerships through dedicated services and tools, such as information pages, a specific ESCP-4i Forum aimed at facilitating the exchange across the partnerships, sharing of third country information on the International Cooperation pages, dedicated partnering events and webinars, and much more.